Mardi Gras is coming and with it comes a carnival of great cocktails. Many famous cocktails have come out of The Big Easy including the Ramos Fizz, the Hurricane, the Sazerac, Arnaud’s Special, the Vieux Carré, the Brandy Crusta, the Absinthe Frappé and Café Brûlot, to mention just a few. Other cocktails with Jazz City associations, if not origins, are the French 75 (created at the New York Bar in Paris but you must have one at Arnaud’s French 75 Bar), Absinthe Suissesse (don't have breakfast at The Old Absinthe House without it) and Milk Punch (a brunch staple at Brennan's). Each year I come up with a new cocktail inspired by Fat Tuesday, sometimes based on a classic New Orleans drink, sometimes inspired by famous NOLA dishes. It all depends on how Carnival inspires me each year. 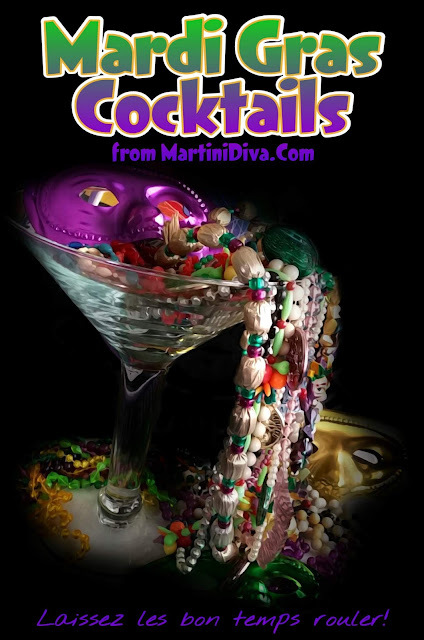 So, if you can't make it to Bourbon Street in person this year bring MARDI GRAS home with these jazzy adaptations. 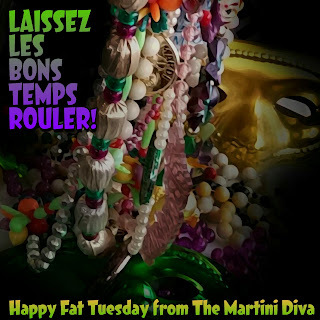 And always, "laissez les bons temps rouler"!